What An End To An Awesome Season!! 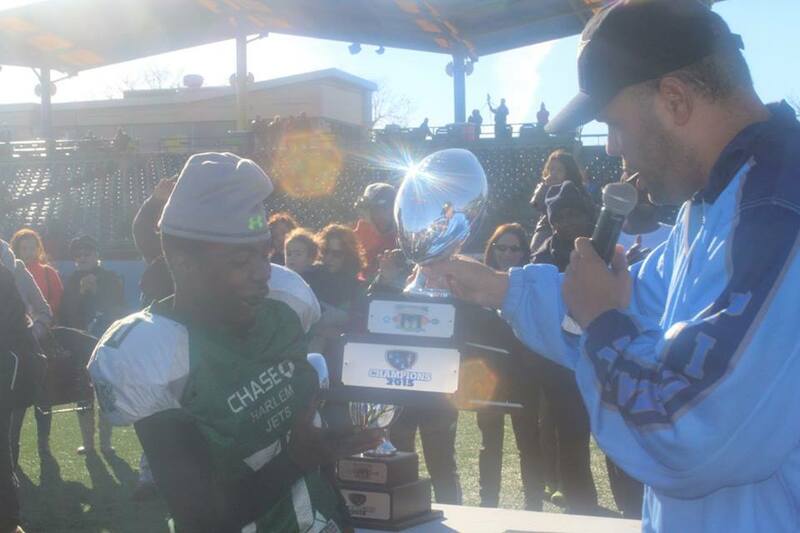 The Long Island Spartans Complete Sweep – The Spartans finished a perfect 10-0 on every age group in the youth divisions. 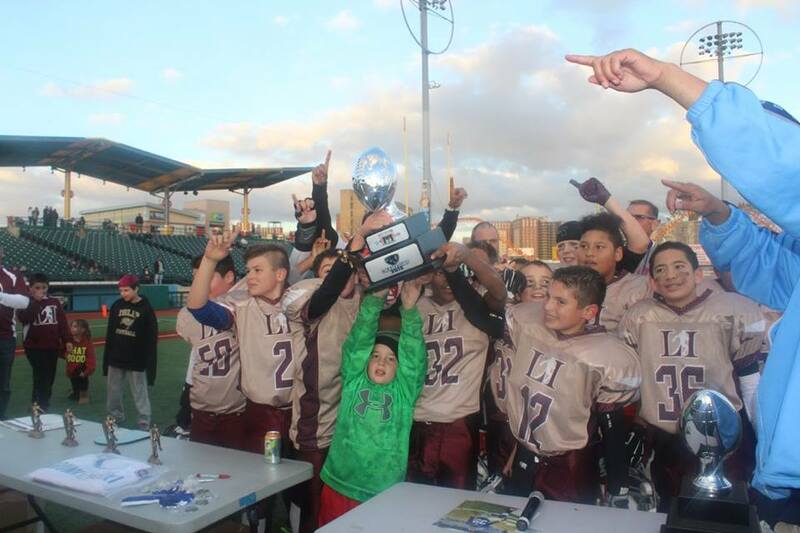 The 10U, 12U, and 14U all won which is a first in PFL history. 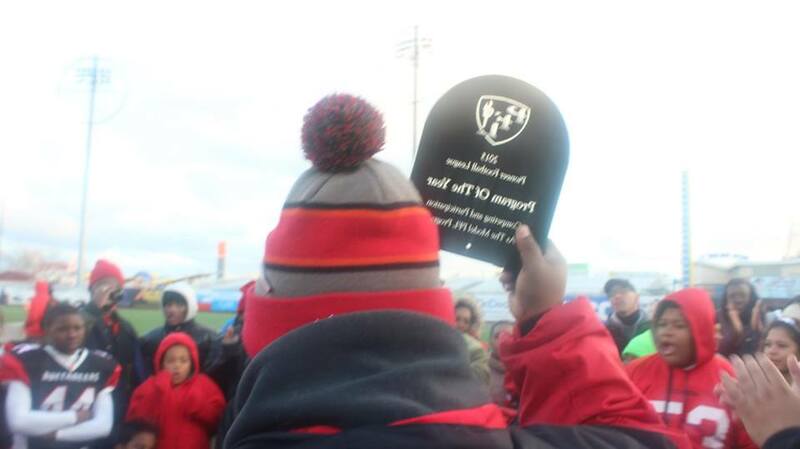 The most Championships won on a single day beating the previous record of 2 (Bronx Nittany Lions 2012). 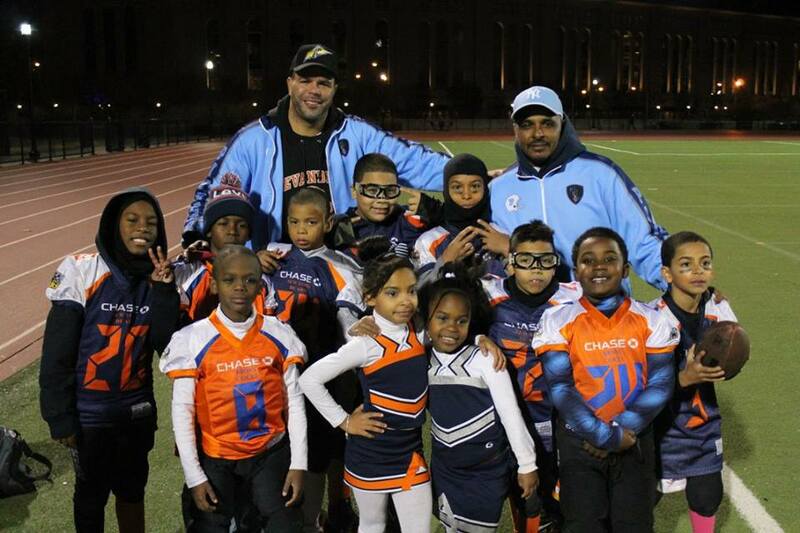 The Harlem Jets won the rubber match of the Buccs – Jets Trilogy by defeating the defending champs and retaking the thrown after a 1 year hiatus. 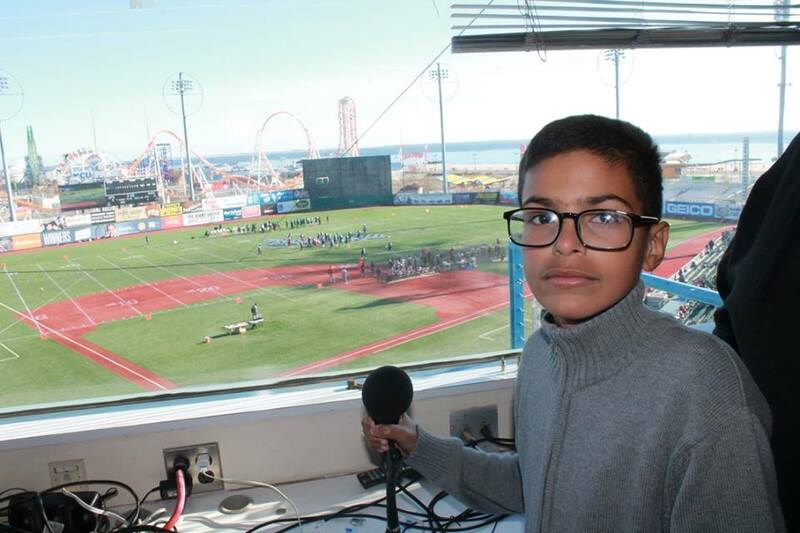 David Hernandez, our 11 year old anchor announced the championship games on the public address system at MCU Park. Finishing an awesome year for this young man and scholar athlete! 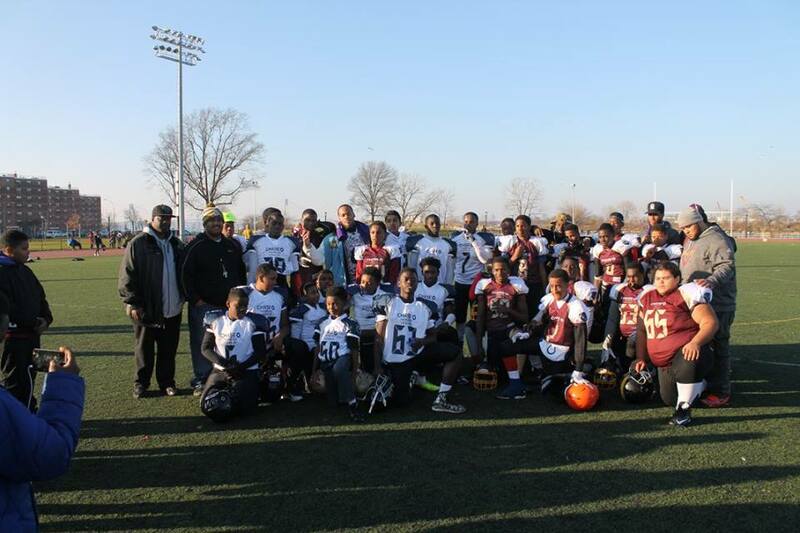 Check out highlights from our 2015 All Star Games! 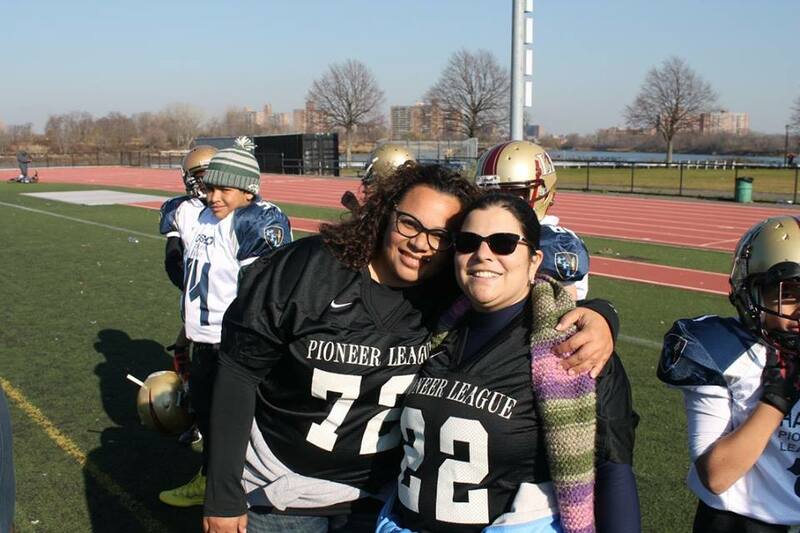 PFL Co Owner Melissa Patterson and Spartan team Mom Melissa Dufauchard spearheaded the Atlantic team to victory with the all female head coaching staff. 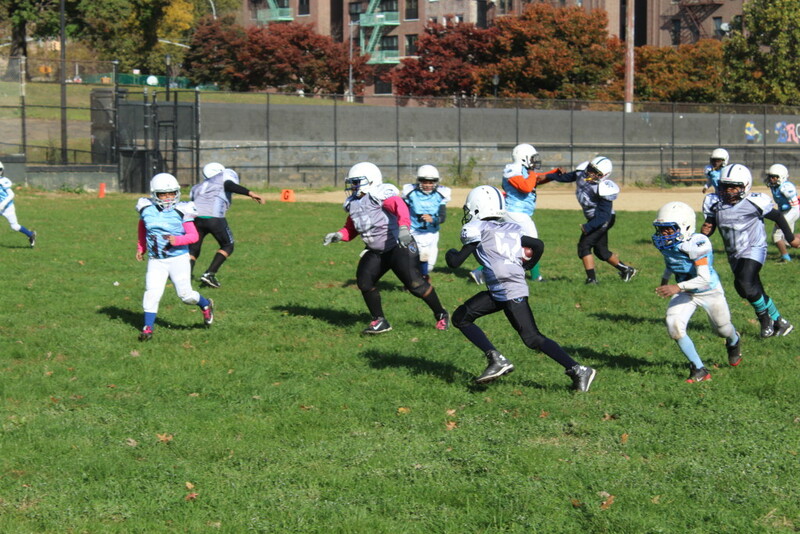 The kids had a ton of fun and there was a lot of action in the air with both teams connecting on long passing plays throughout the game. 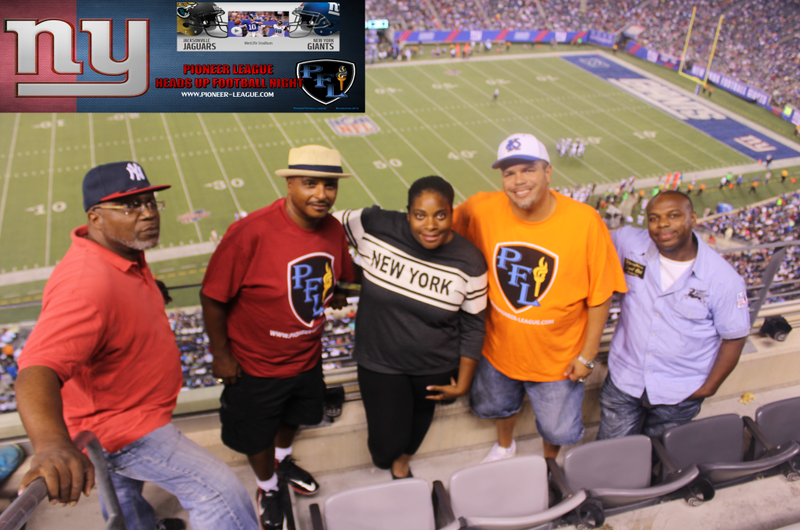 PFL Trustee battle between Shamell Jackson and Jay Carter as the head coaches of the all stars was just as entertaining on the sidelines as it was on the field. 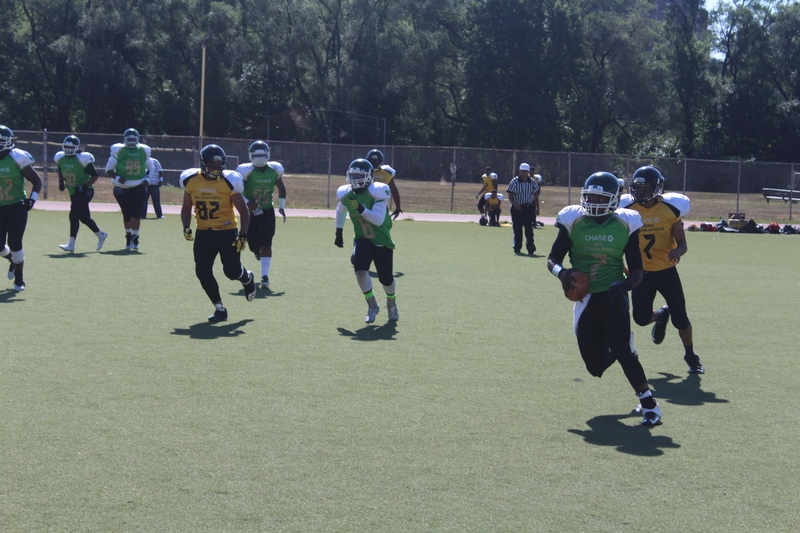 We had an instant replay challenge turn a penalty into a touchdown pass. 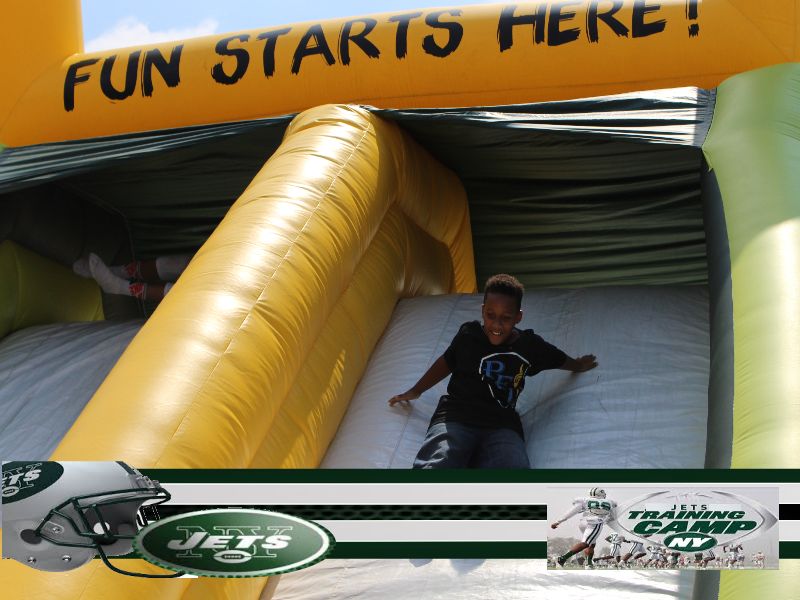 After further review the kids enjoyed the day and the crowd was thoroughly entertained. 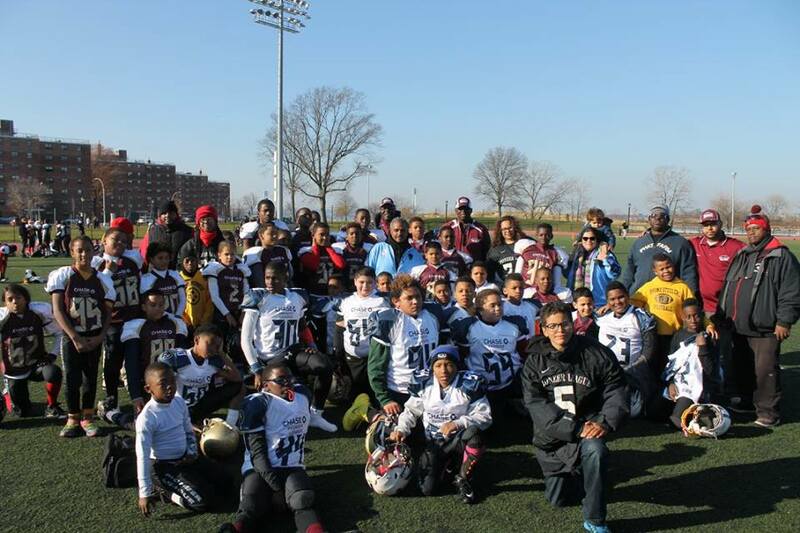 The third game of our star studded triple header was repeatedly described by onlookers as “wow this is really good football!” The Brooklyn Pharaoh Minor League Coaching staff led by Hugh Bent tried to go for the Atlantic Sweep. 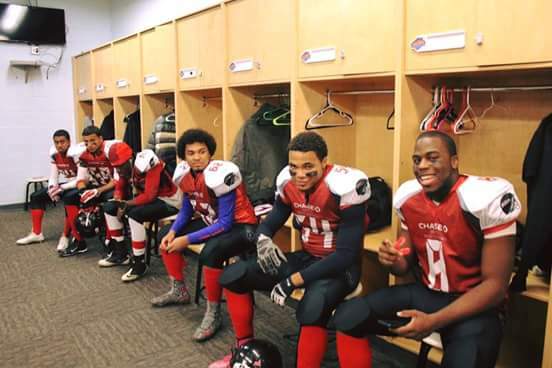 But the Hayes / Christ The King combo of Jay Carter and David Cruz (Both former PFL All Star Players ended up prevailing in a game that came down to a last defensive stand in the red zone. 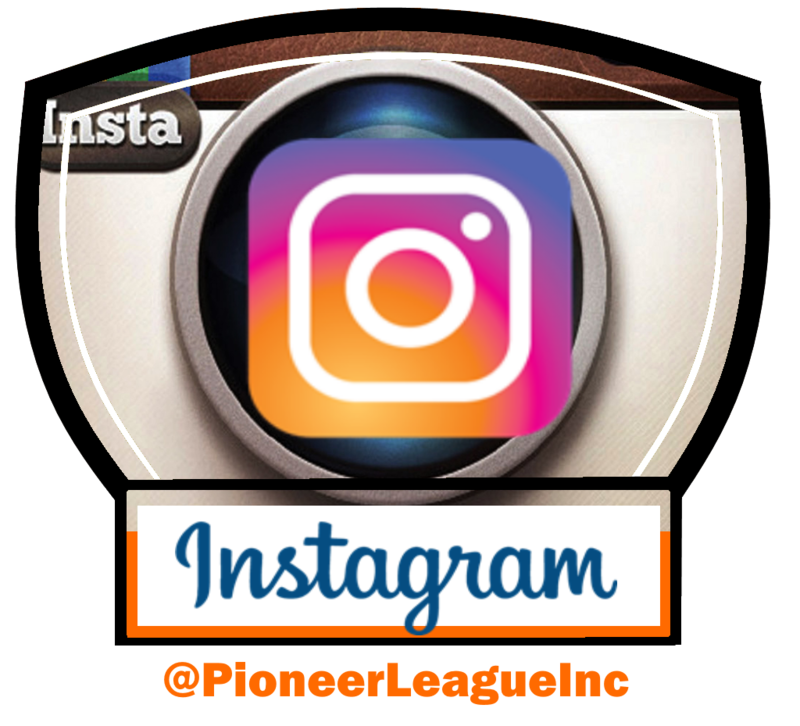 Check out the highlights on PFL sports center. 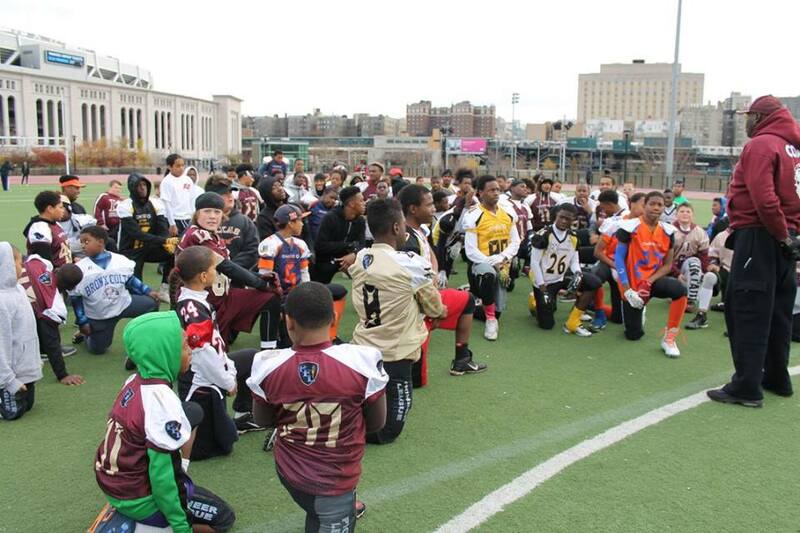 PFL All Star Practice a seas of PFL colors! 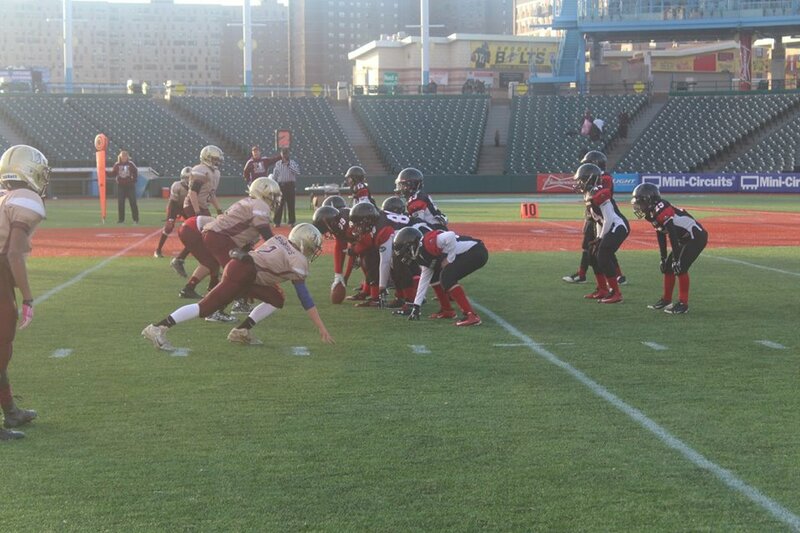 The top seeds held serve on Saturday which sets up a great Championship matchup this week at MCU Park. 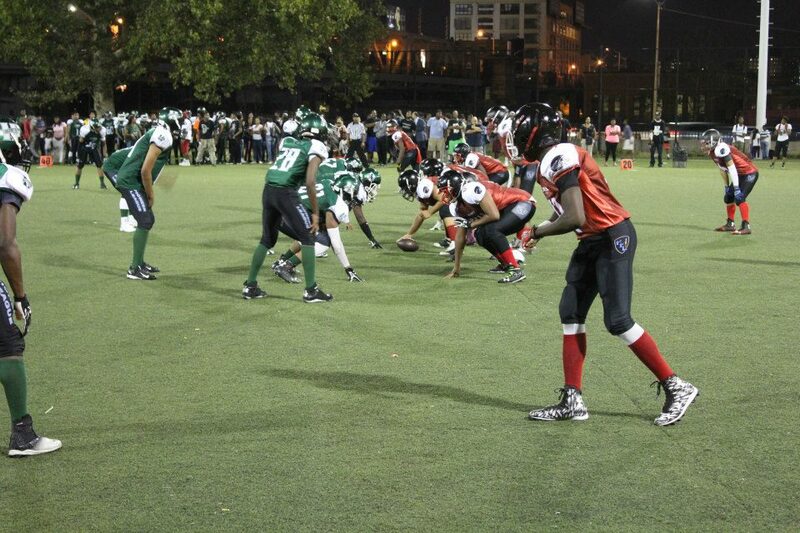 The Buccaneers outlasted the Bronx Steelers in a thrilling 22-14 game at Williamsbridge Oval. The Buccs jumped out on top early and held on despite a furious late rush by the Steelers. 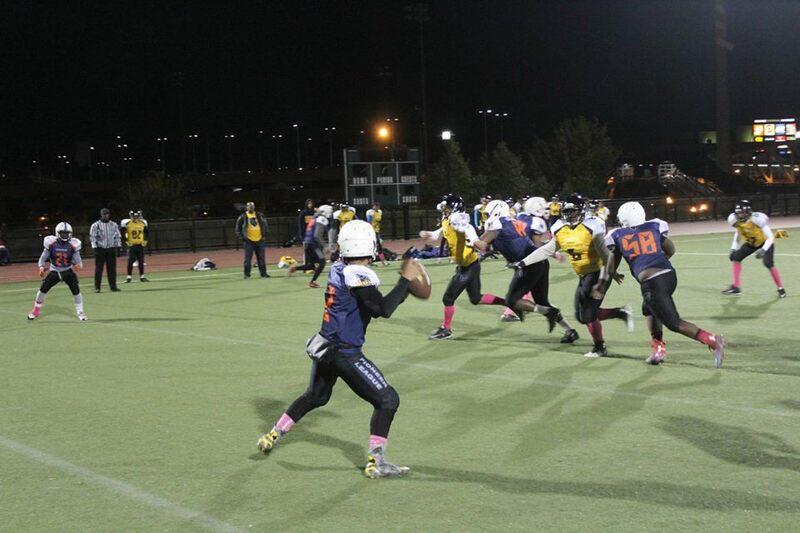 The Long Island Spartans hosted a very gritty New York City Lions team at Walt Whitman High School in primetime. 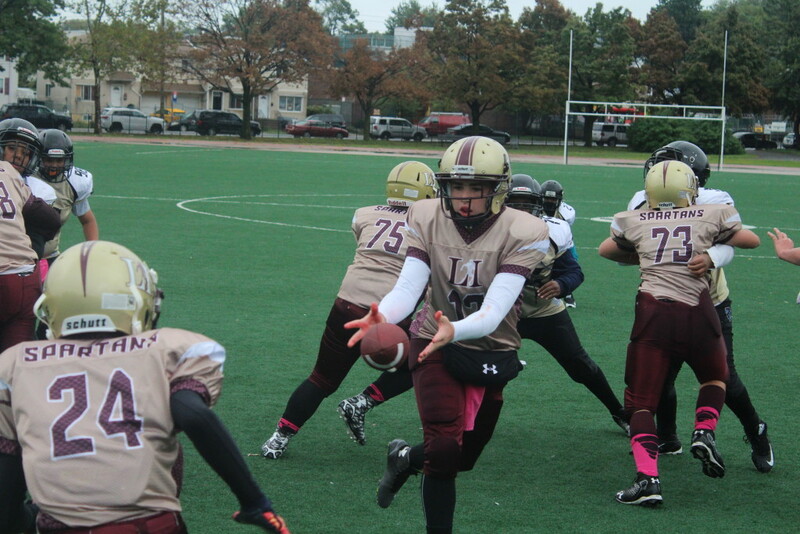 The Lions, making their first playoff appearance in the youth divisions did their program proud. 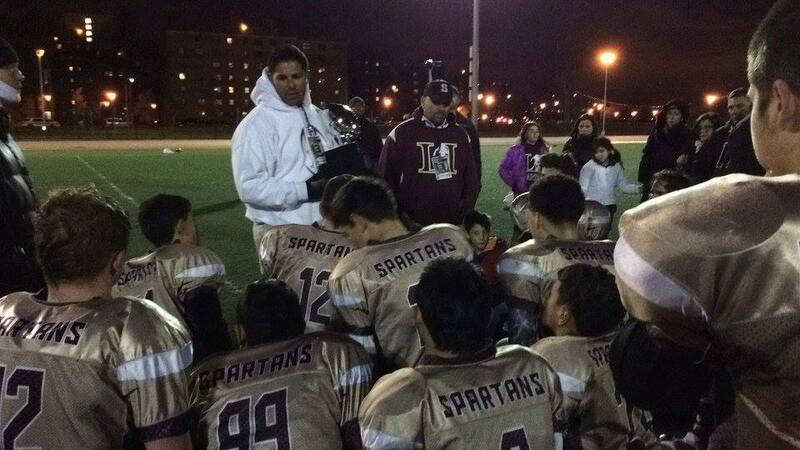 The undefeated Spartans move on to the big game. 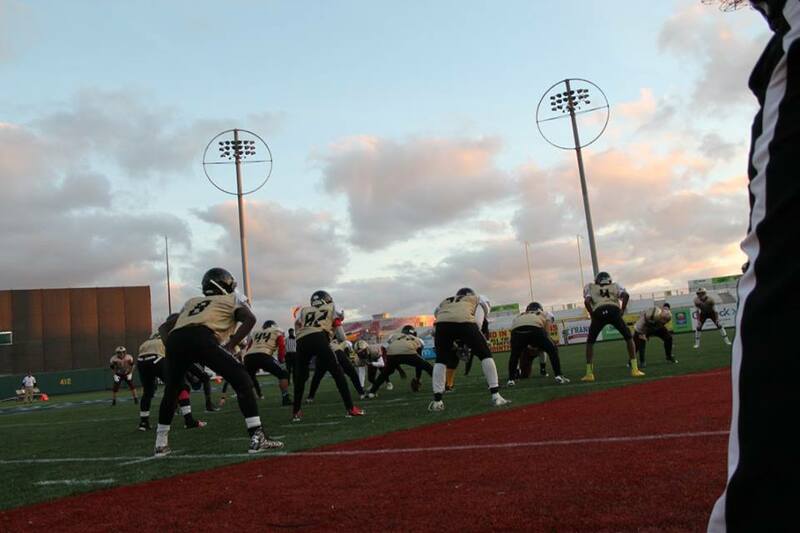 In a bit of deja vu the Buccs advanced against the Steelers to the championship and will meet the Long Island Spartans. 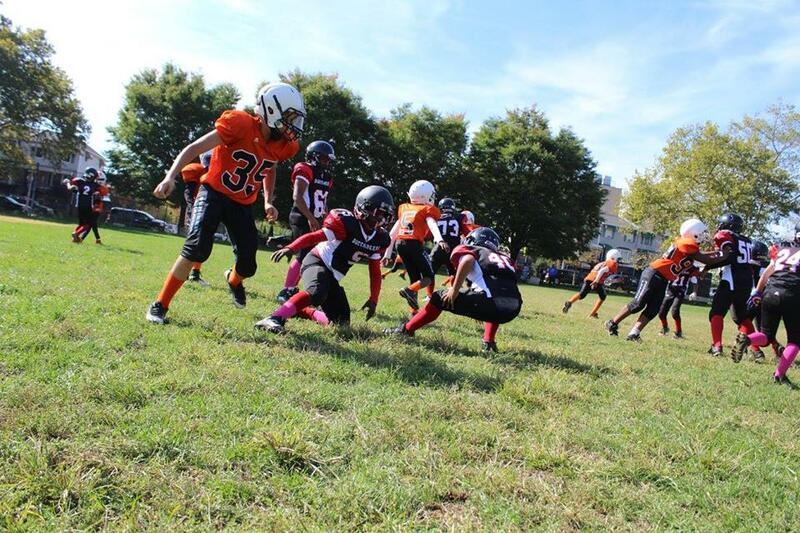 The Buccs run attack was overwhelming as it chewed up major yardage early and often. 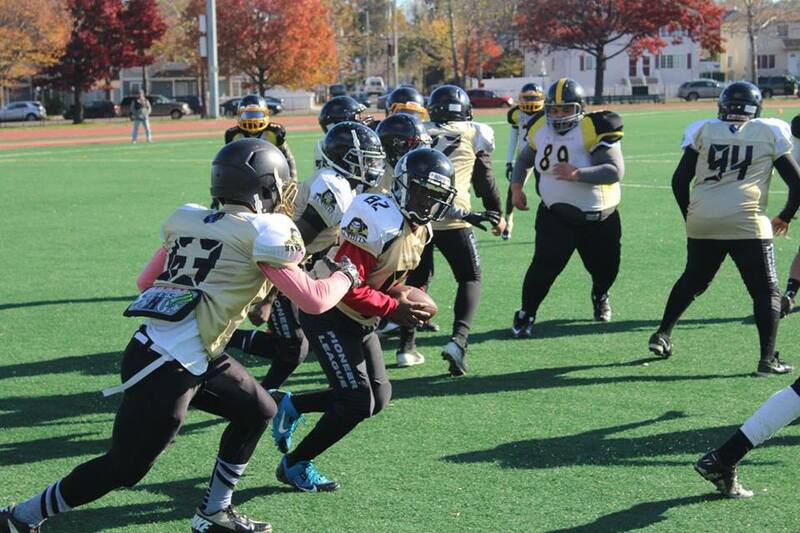 The Long Island Spartans were too much for the Bears in the end. 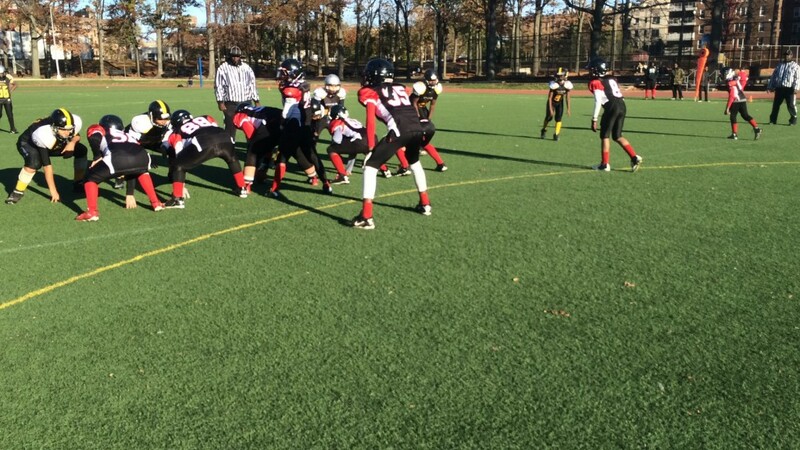 The Spartans 12U which seemed to intimidate the Bears in the 1st half, had to fight off an aggressive and confident pack in the second half. 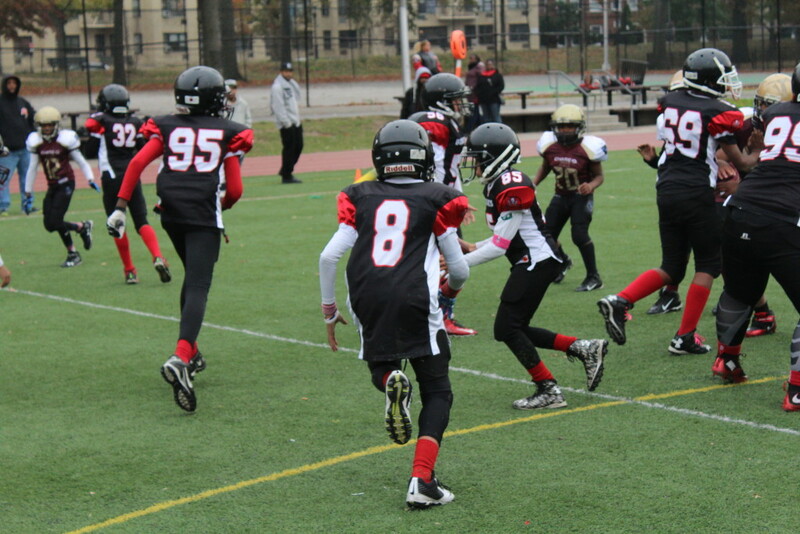 The Staten Island Bandits won a shootout on the island against the Steelers on Saturday morning. 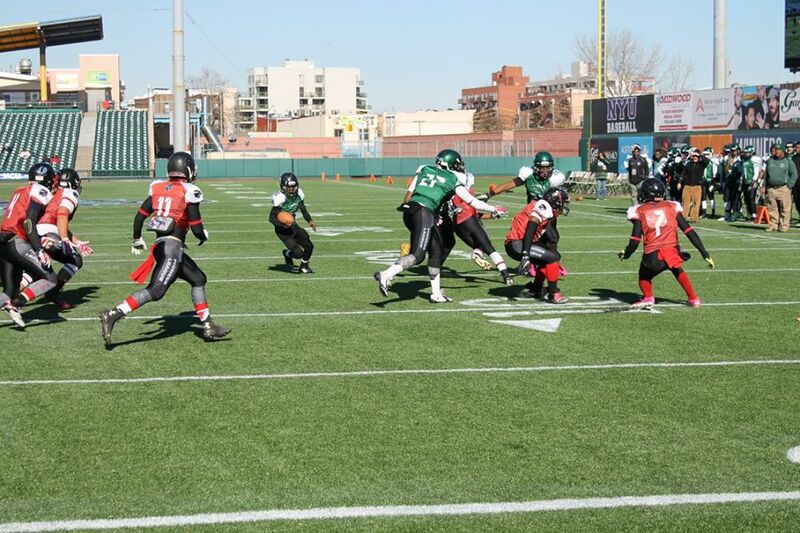 The Bandits are hitting on all cylinders on offense as they put up points early to advance to the big game 42-18. 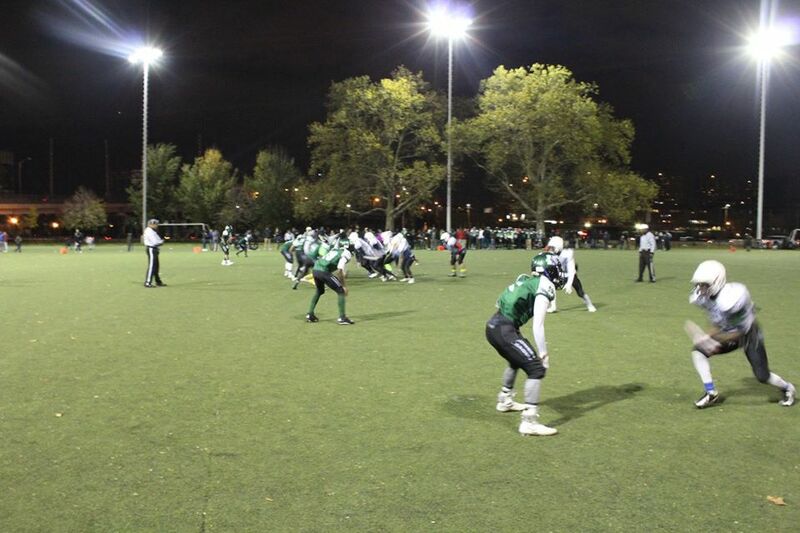 This sets up a rematch against Long Island Spartans, who completed their trifecta sweep into the championship games with a win over the Coney Island Sharks. 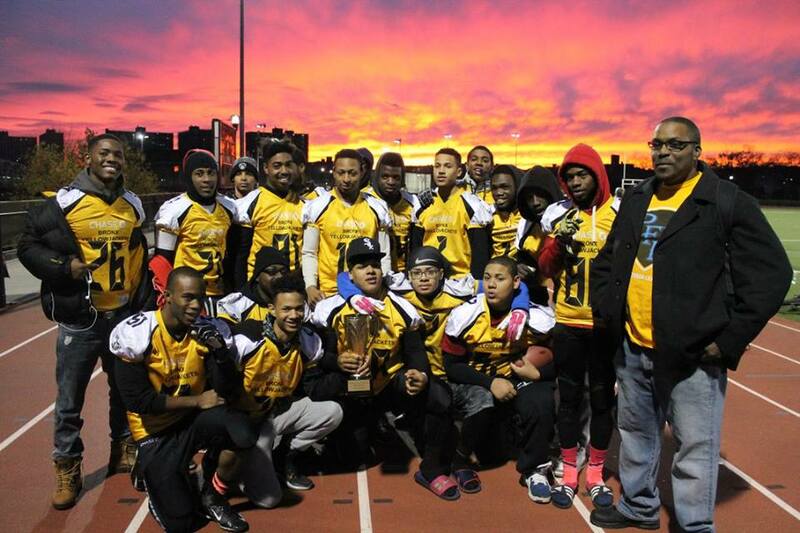 The Senior Division featured two great match ups in the semifinals and they did not disappoint. 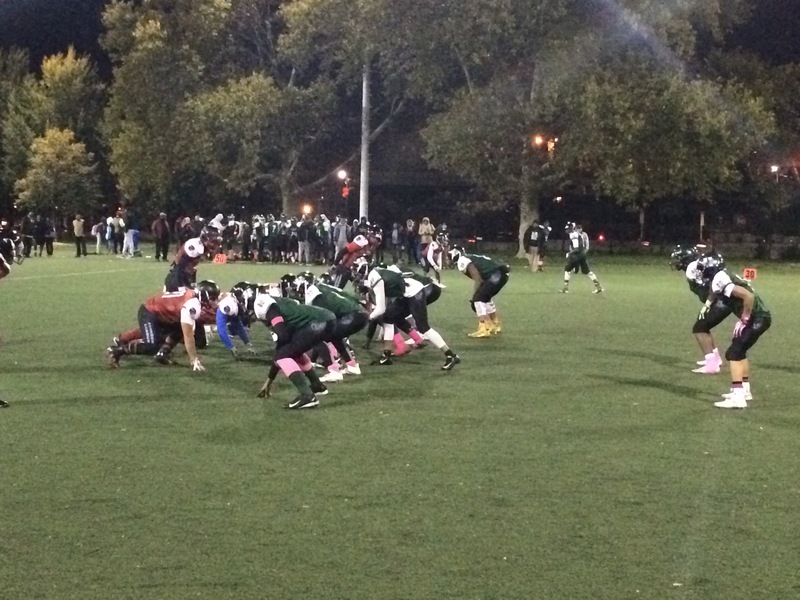 Friday night, the Harlem Jets took advantage of turnovers to put up an early score. 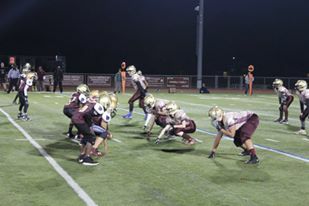 In a defensive gridlock for most of the game, the Lions scored on an amazing long pass that was tipped by Jet defenders. 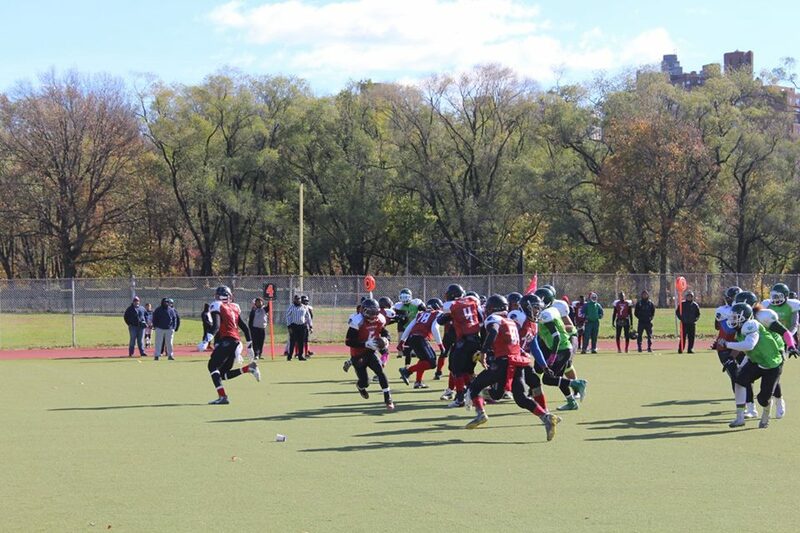 The conversion came up short and was the difference as the Jets advance to their 4th consecutive championship 8-6. 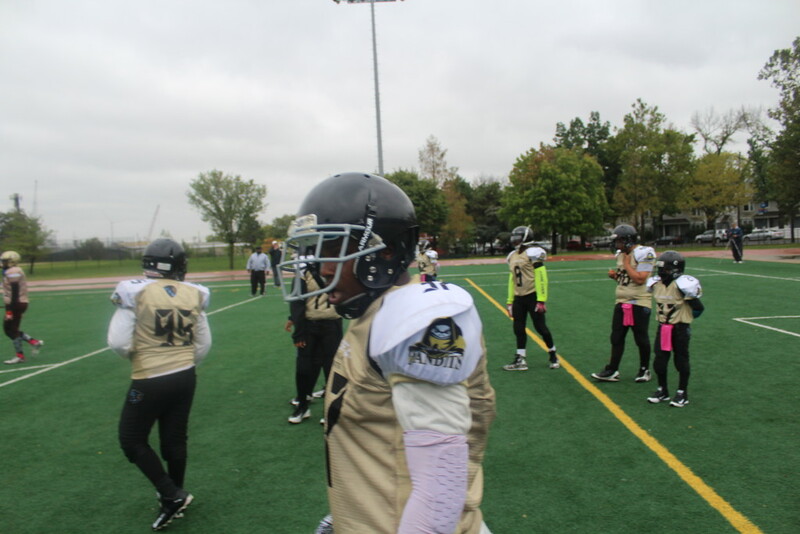 The Buccaneers, maybe the most undervalued and overlooked reigning champion played a game of their lives on Saturday morning as they stunned the top seed MHC Green Wave. This sets up the latest in the Trilogy of Buccs vs Jets Championship games in the Pioneer League. The Jets won in 2013, the Buccs in 2014. 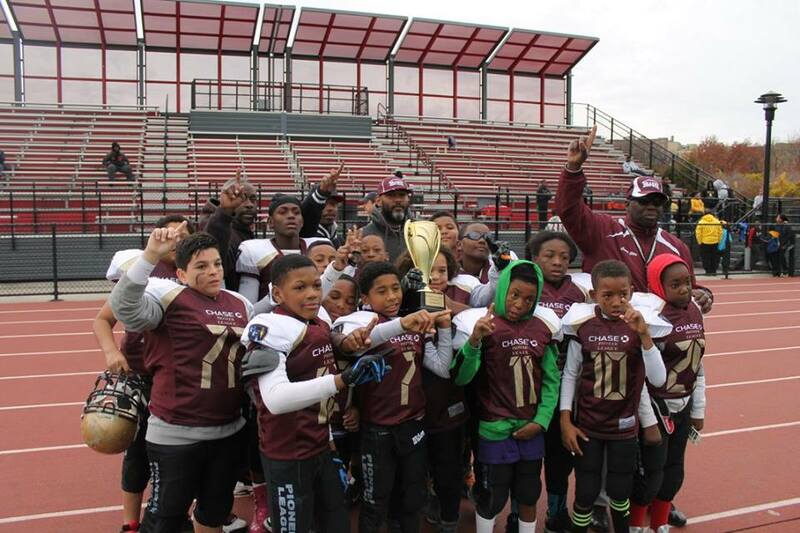 With wins over the Coney Island Sharks in 12 and 14u, the Spartans complete all three youth age divisions (10u as well) seasons undefeated! 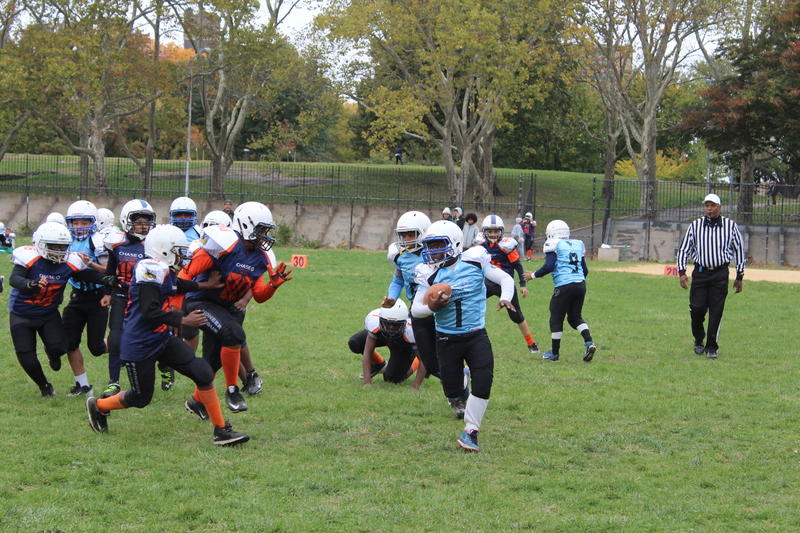 The three Spartan teams will be in action in the PFL semifinals this week at Walt Whitman High School. Week 9 features major girl power players! 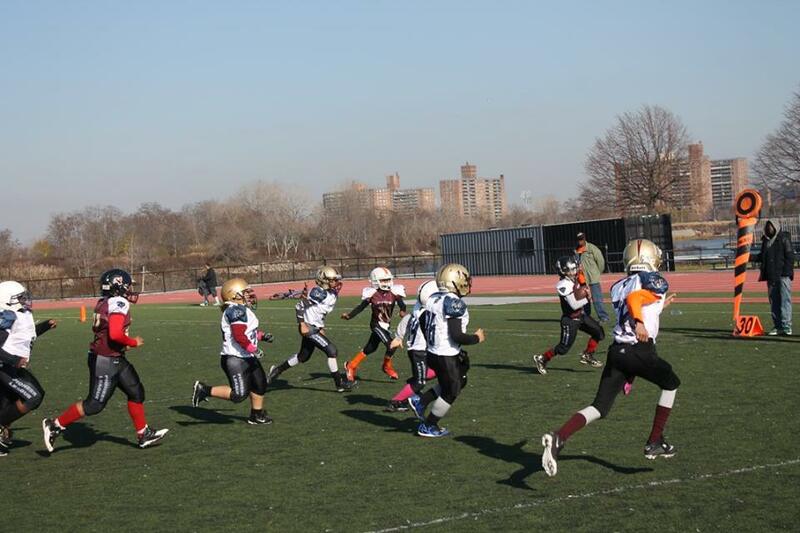 At Williamsbridge Oval we had 3 of our PFL players active on the same field during the course of the day. We introduce you to them and check out some of the action on this week’s Sportscenter. The PFL kicked off week 8 on a very spooky week of football on Halloween weekend. 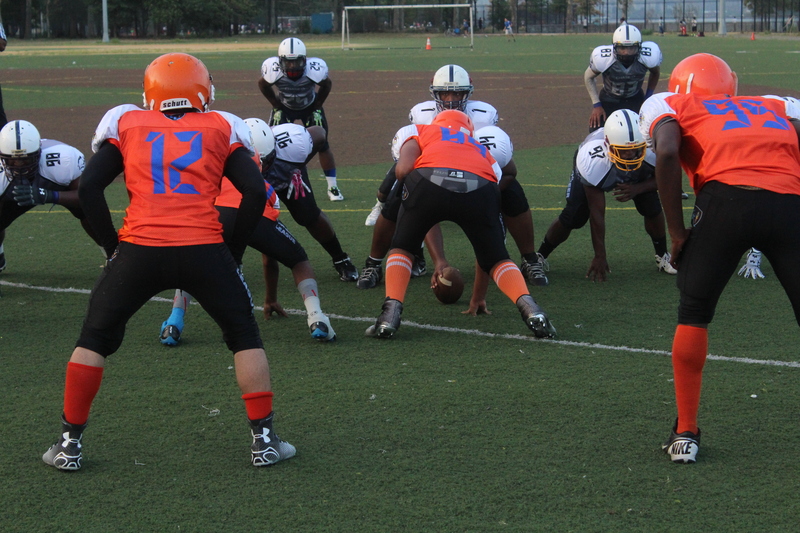 The Bandits and Steelers treated us to a battle that ended up 6-0 in a thriller of a game. 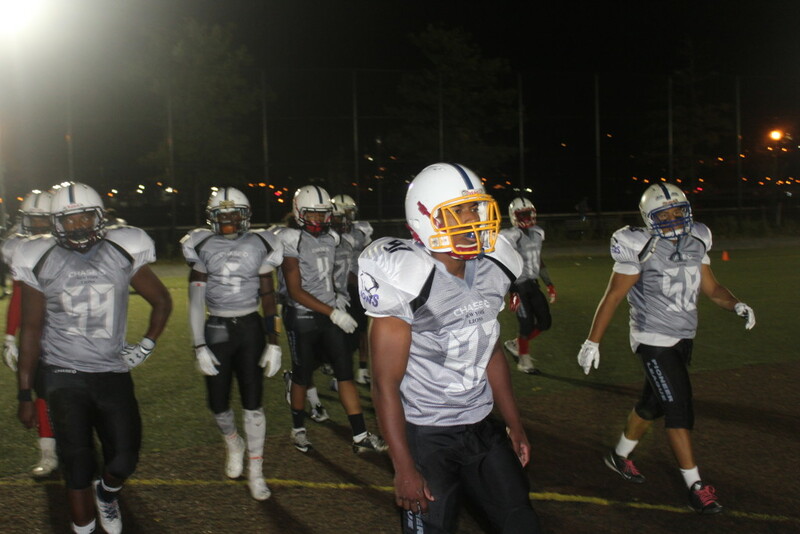 The Buccs tricky running game was a problem for the Sharks who rallied late but were unable to finish out a comeback. 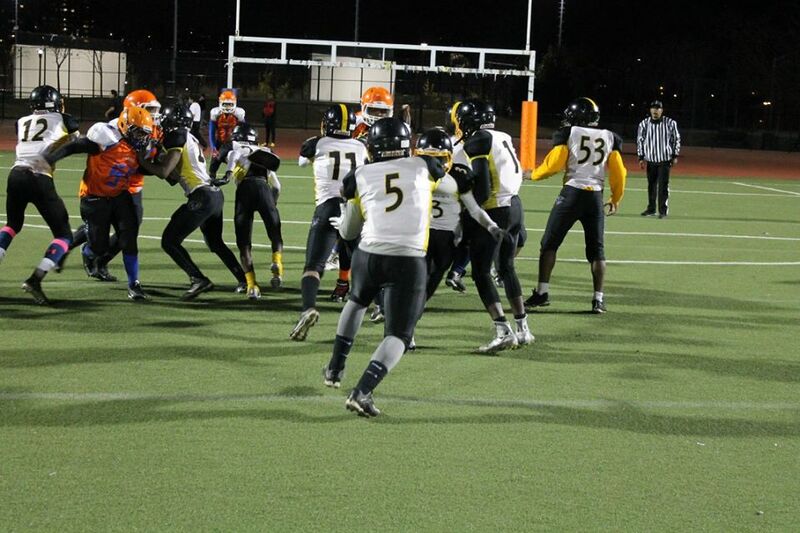 Check out this weeks highlights on Sportscenter. 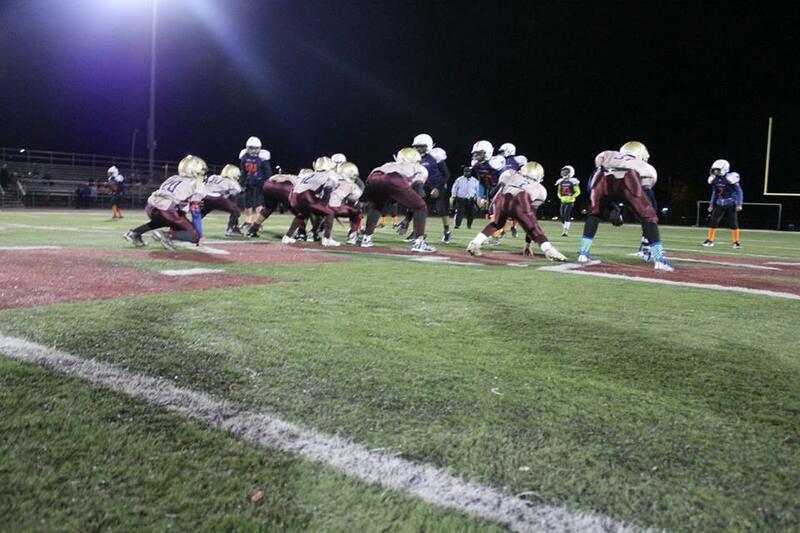 The season is really moving and it is hard to believe we are almost at the end. 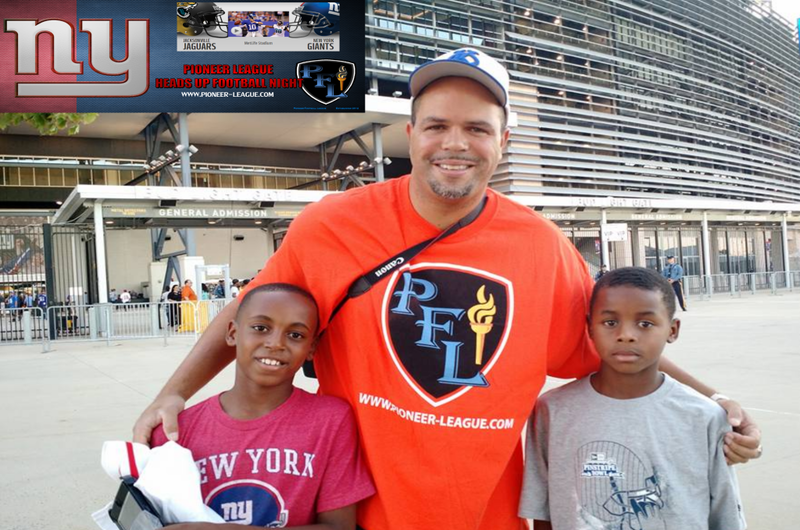 This week the Long Island Spartans represented the PFL proud by traveling to New Jersey and beating a formidable Irvington Raiders team. The back end of the schedule has a few out of league games that should be a great experience for our players and staff. 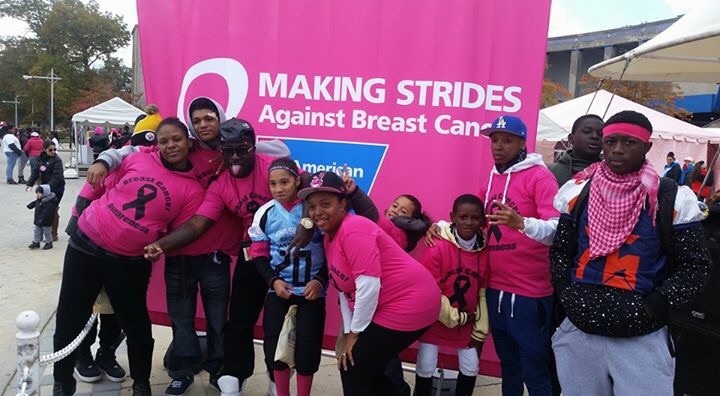 Last weekend many of our programs participated in Breast Cancer Awareness month events. 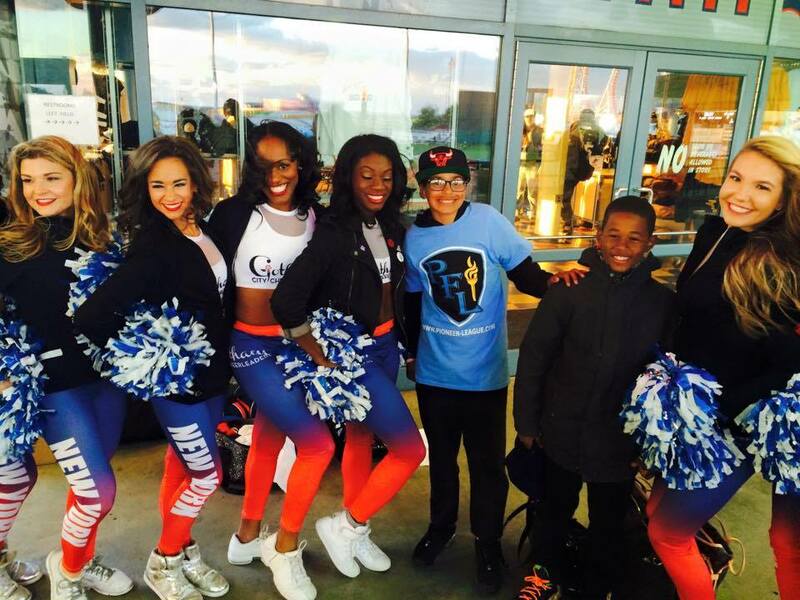 The Bronx Buccs, Steelers, Panthers, and Bears participated in a Cancer walk. 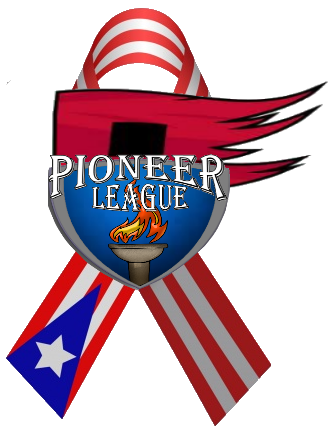 Players around the league are wearing pink in PFL games to honor those that have had their lives affected by breast cancer. 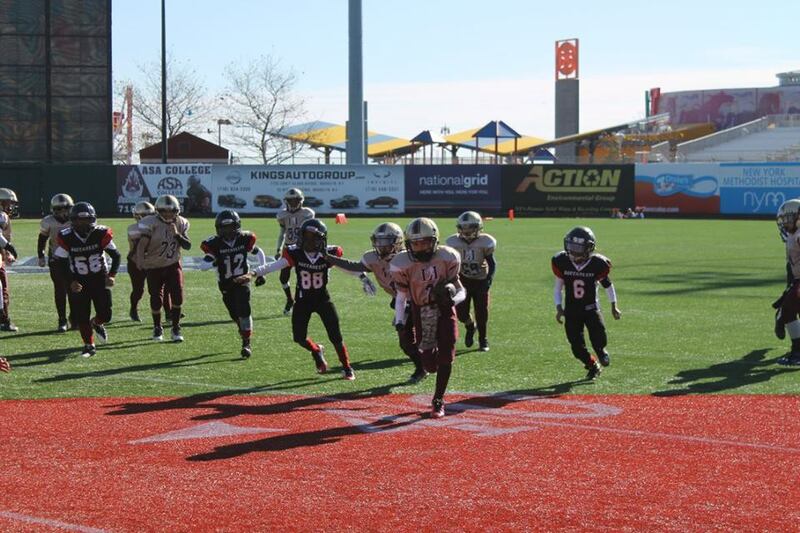 The Brooklyn Bolts scored a home victory last Saturday at MCU Park. 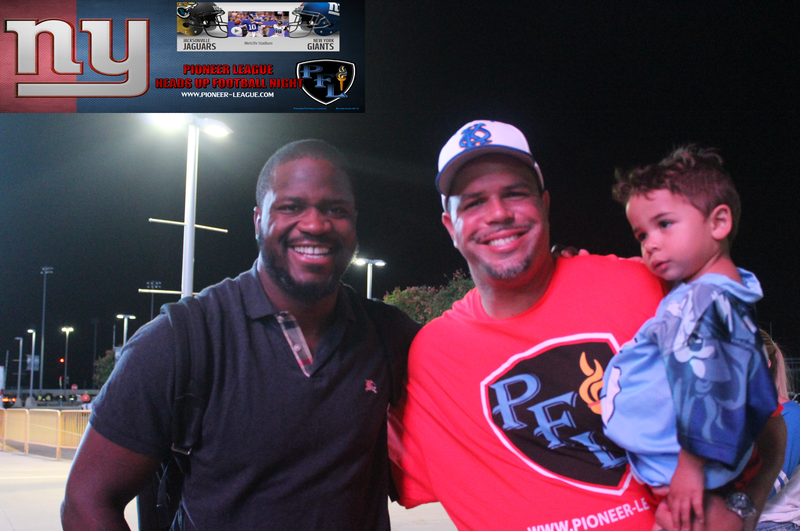 In attendance at the game was plenty of PFL players and staff who included David Hernandez. David is our lead correspondent and regular television and internet personality. 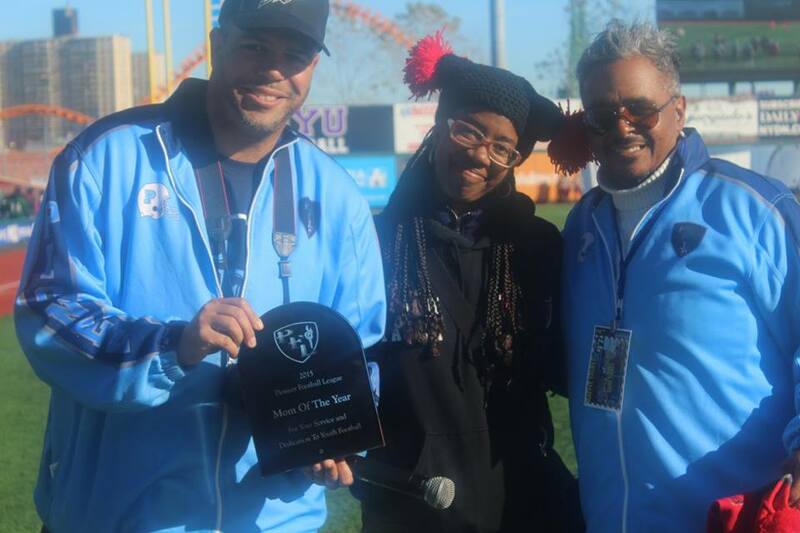 Check out his report from MCU Park. The PFL highlight of the weekend came from Coney Island. 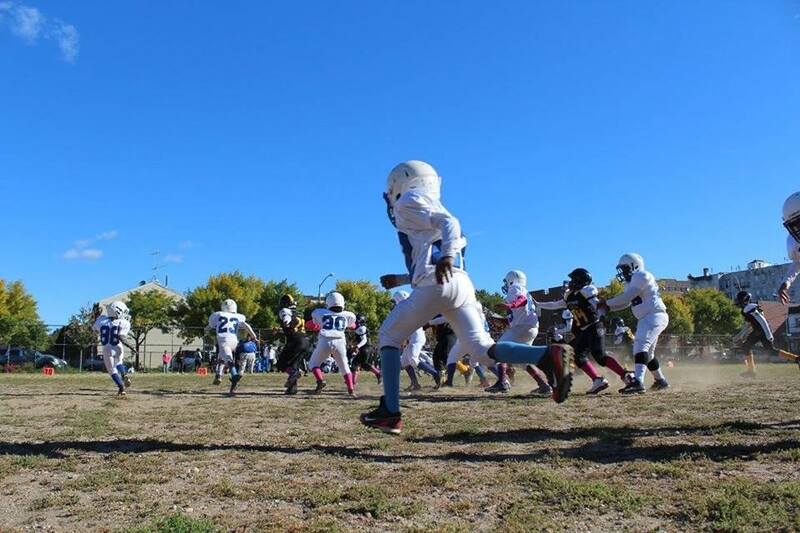 The Sharks had their homecoming this week and the 3 games played out of Kaiser Park did not disappoint. 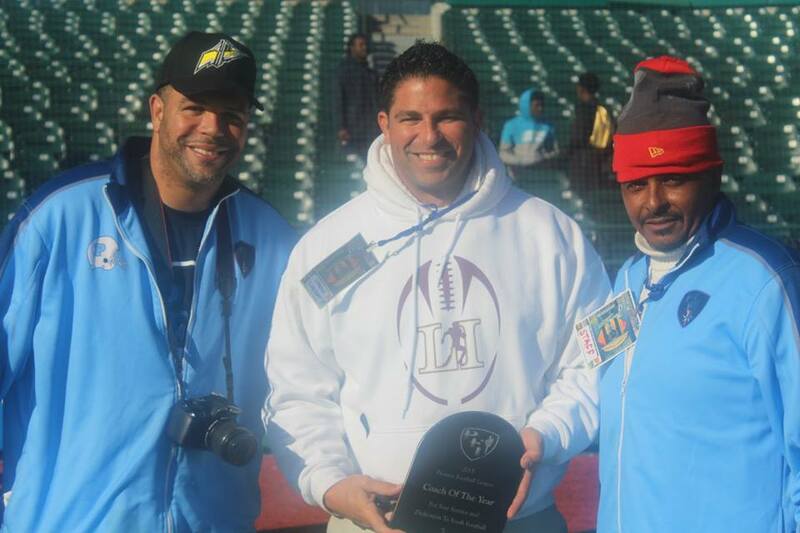 League President Richard Hernandez was on hand for the festivities as the Sharks used their homecoming to spread the word of anti-violen ce in their community. 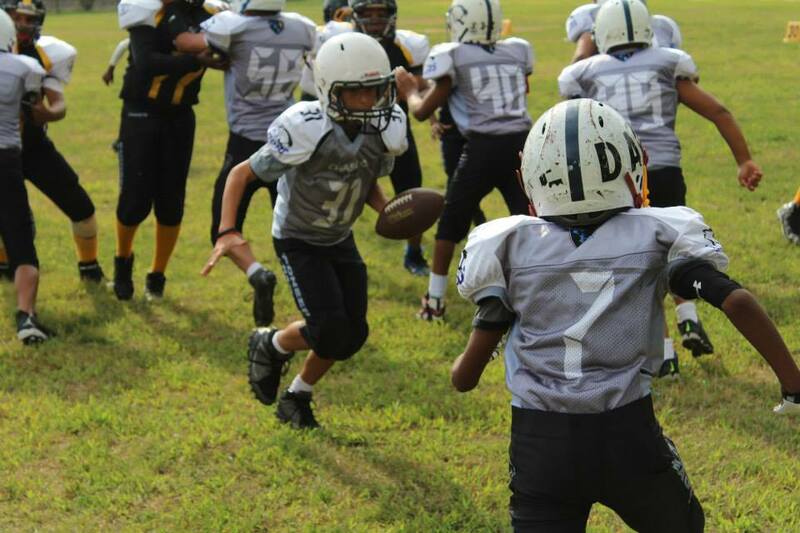 Great job Sharks!. 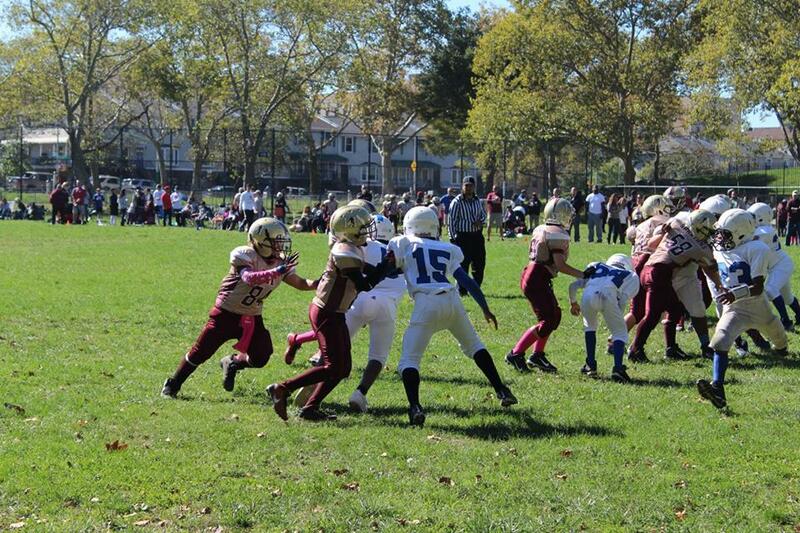 The Panthers and Steelers battled in 10u and 12u as the Tri State Conference brother programs faced off. 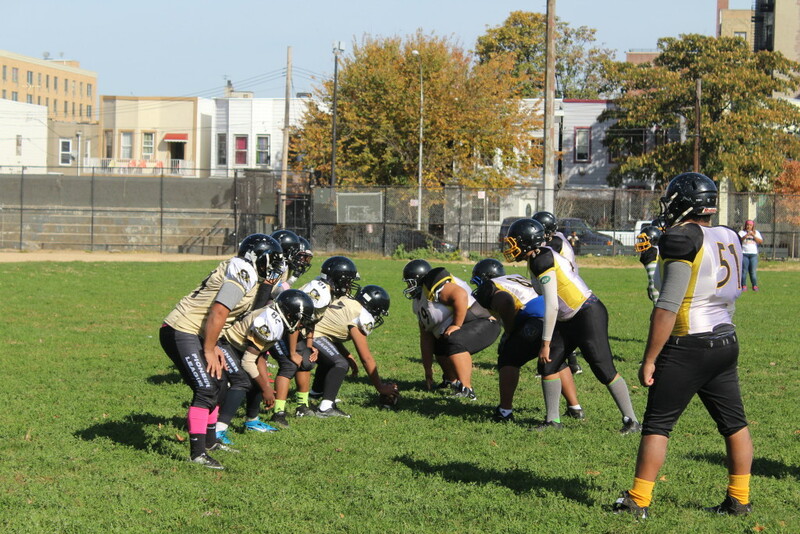 The two are very familiar with the Steelers winning most of the times they face off, but the Panthers are getting closer to getting those bragging rights. 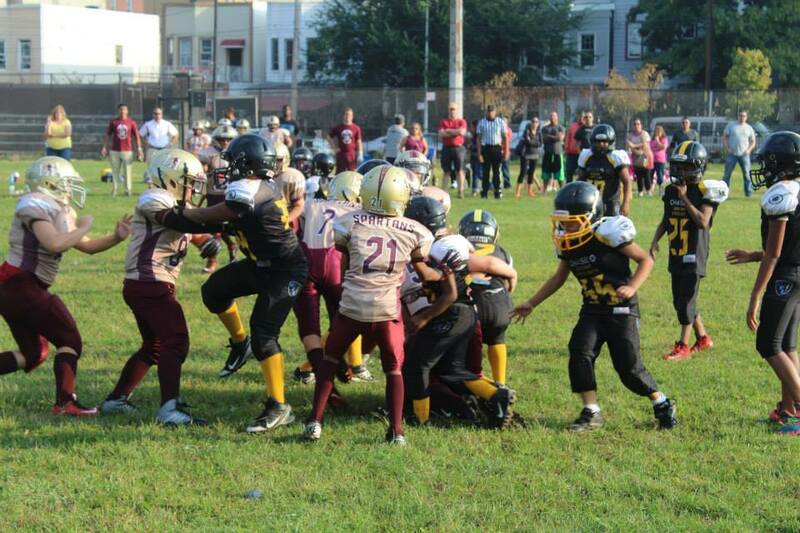 The action was everyone in week 5. 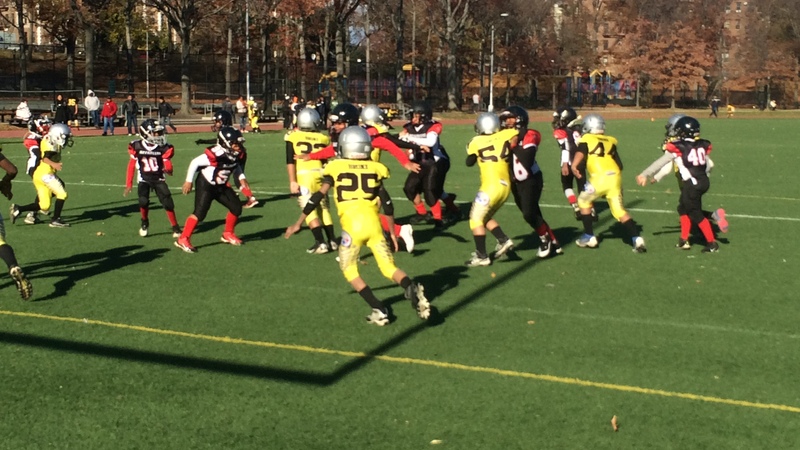 We had two great games on friday and a full slate of action on Saturday and Sunday. 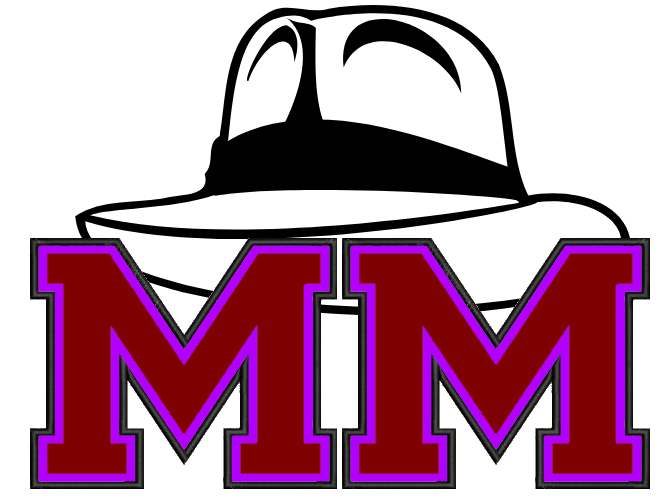 MHC takes sole control of first place in 18u. The Spartans continue to dominate in 10, 12 and 14u. 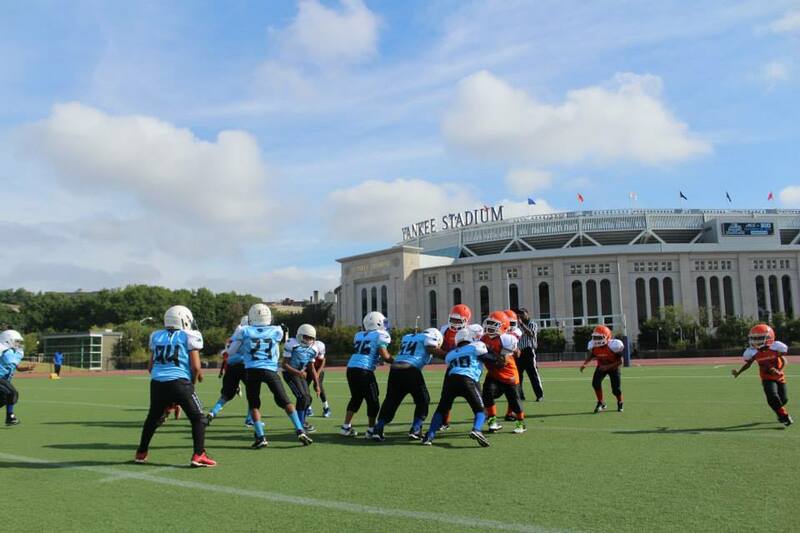 Finally, the Sharks 14u won a tight game against the Bronx Colts 28-18 in Brooklyn. 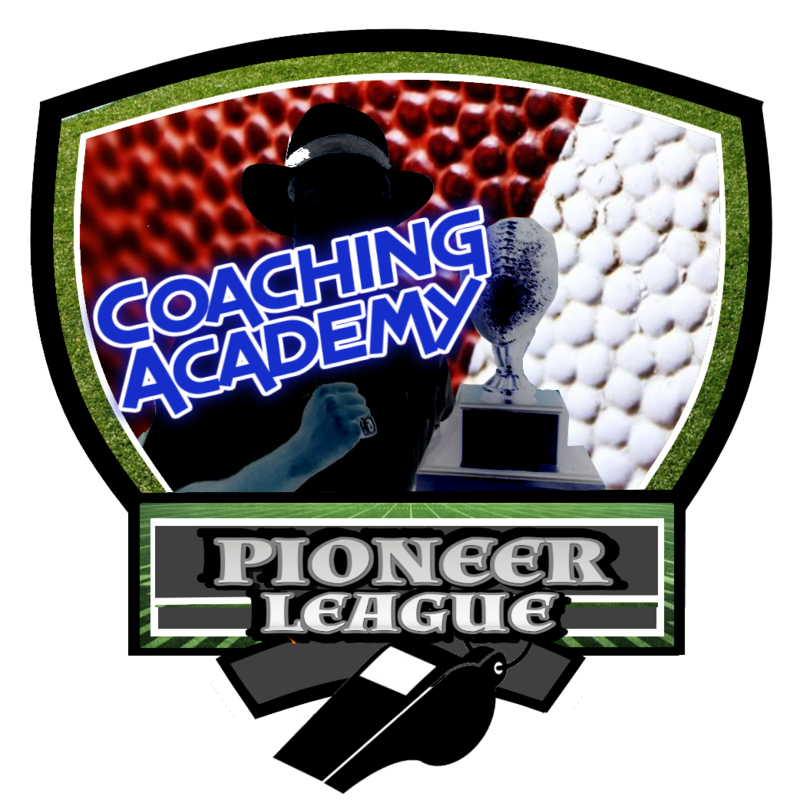 The perfect storm of Pioneer Football week 4 kicked off as we were treated to 3 days of awesome action. With the weather we were very lucky that any games were played. 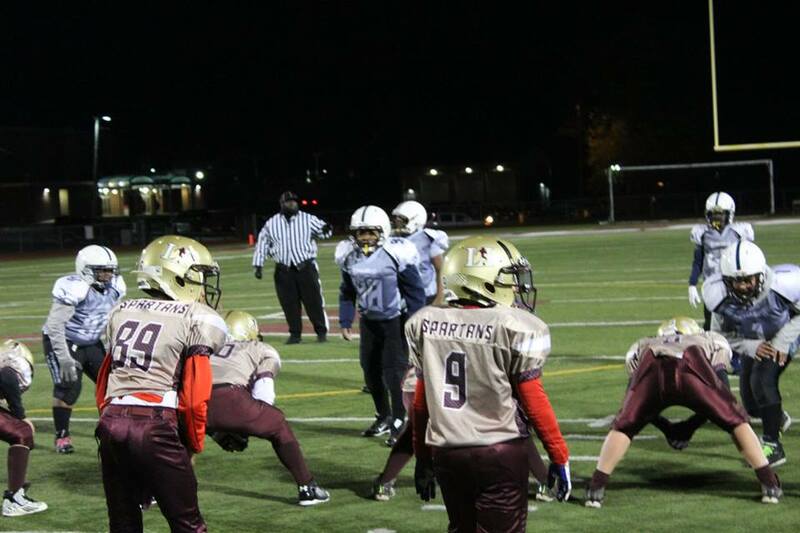 However , we had 2 great games on friday that played in a monsoon. 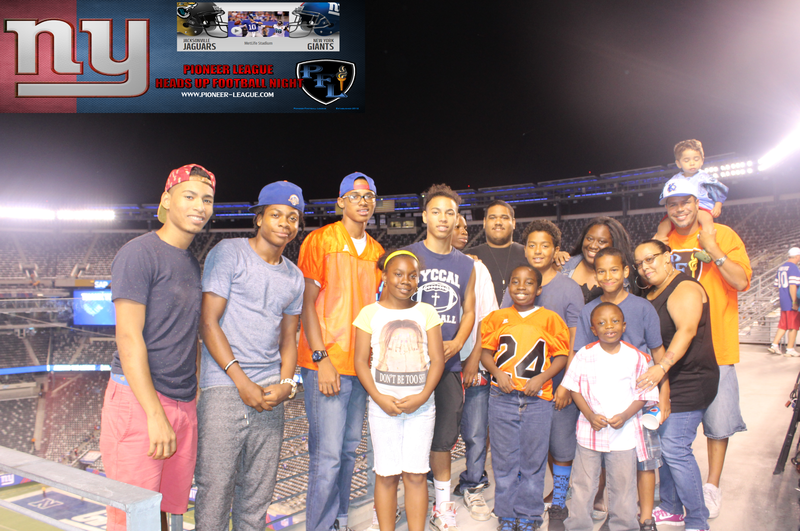 Some of our kids even attended the Brooklyn Bolts kickoff at MCU park. The NYC Lions edged the defending champs 6-0 and the Harlem Jets scored an unexpected victory over the Bronx Yellowjackets when many were counting out Gang Green from uptown. 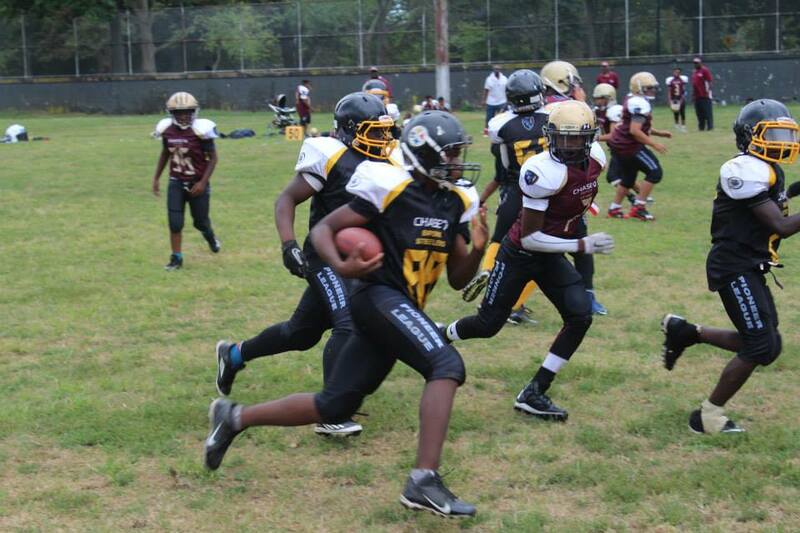 Saturday we had visited the Beach as we had an Island doubleheader of sorts. 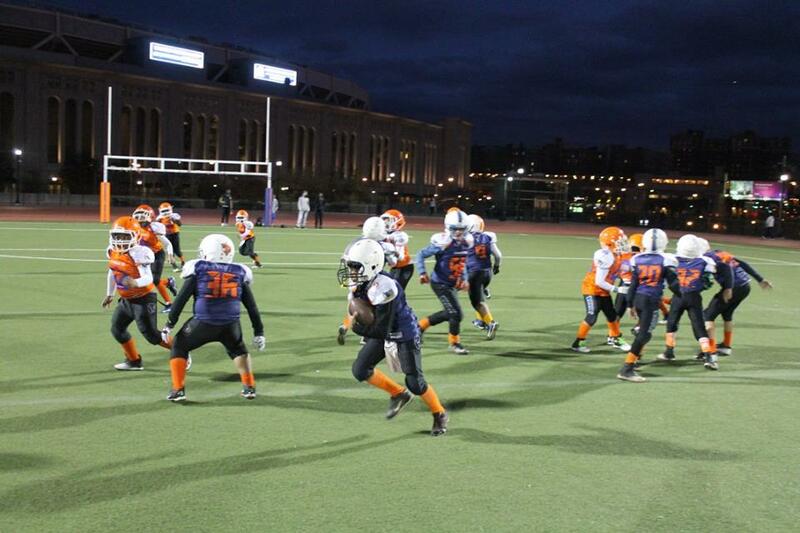 The first was the Staten Island Bandits and the Long Island Spartans. 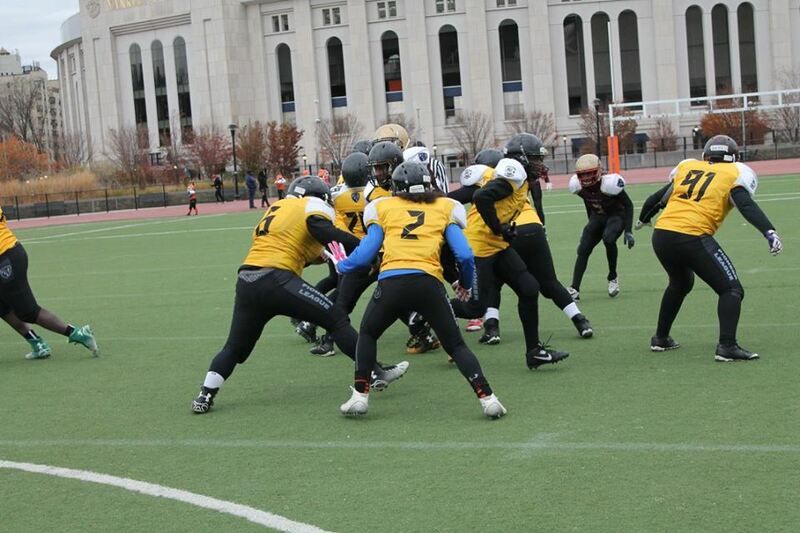 There was a ton of talent on the field and it appeared both offenses were not affected at all by the cold and the driving wind. 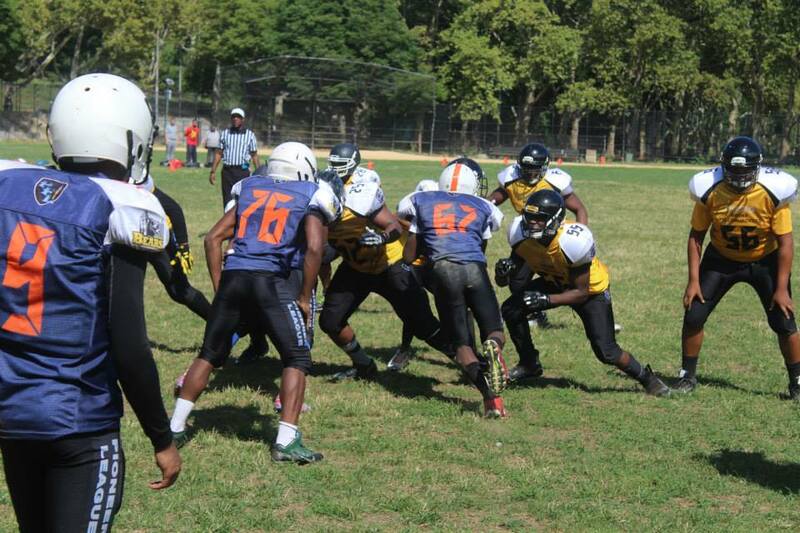 We then checked out Kaiser park in Coney Island as the Sharks scored the first 2 victories of their 3 game week 4 sweep. 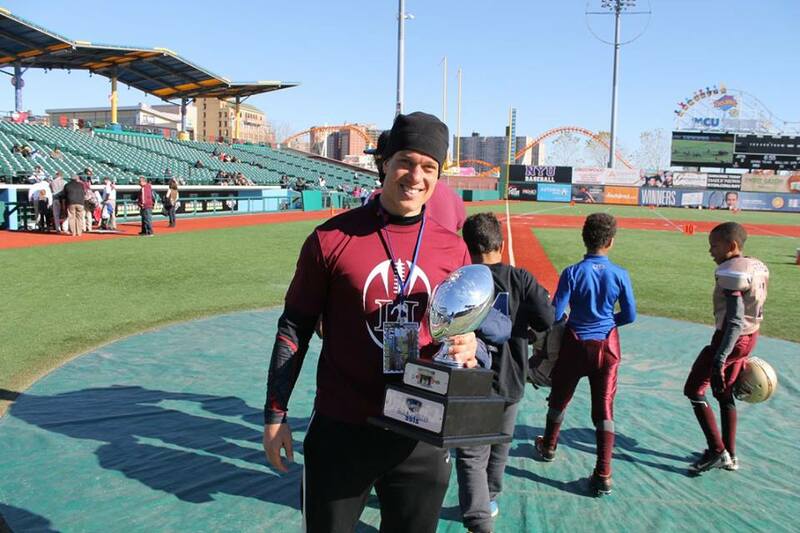 The Sharks are emerging as a team that may make a playoff run and bid for a home game in the championship (3 blocks away at MCU park. Sunday all eyes were on Bear country Homecoming at St Mary’s park. What a weekend! 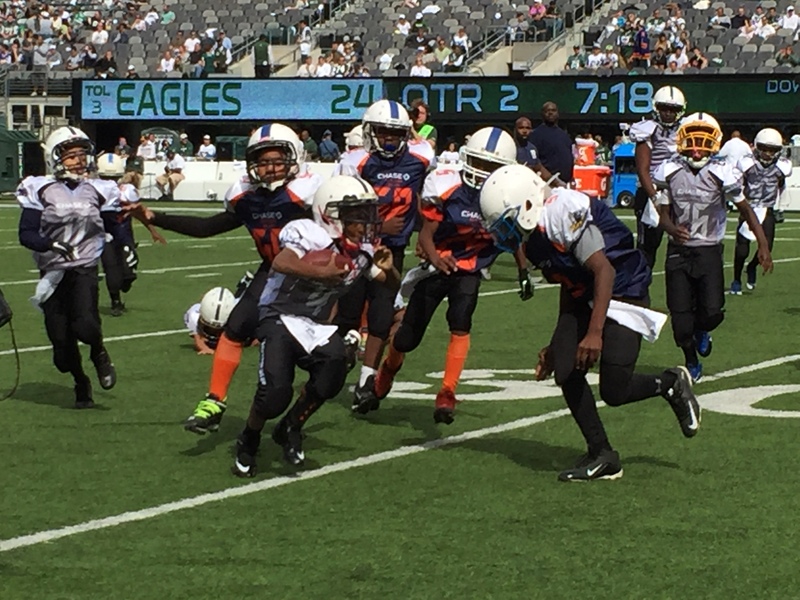 The Bronx Bears and New York City Lions battled at halftime of the Eagles vs Jets game on Sunday. The show was highlighted as 80,000 fans cheered the Bears #9 as he made two big time NFL caliber tackles!!! 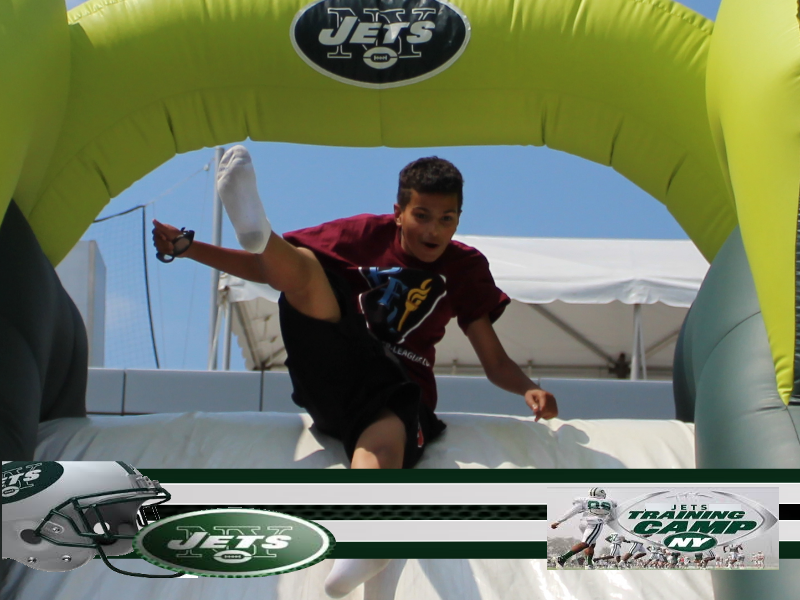 Great day – Thank Your New York Jets and Chase Bank!! 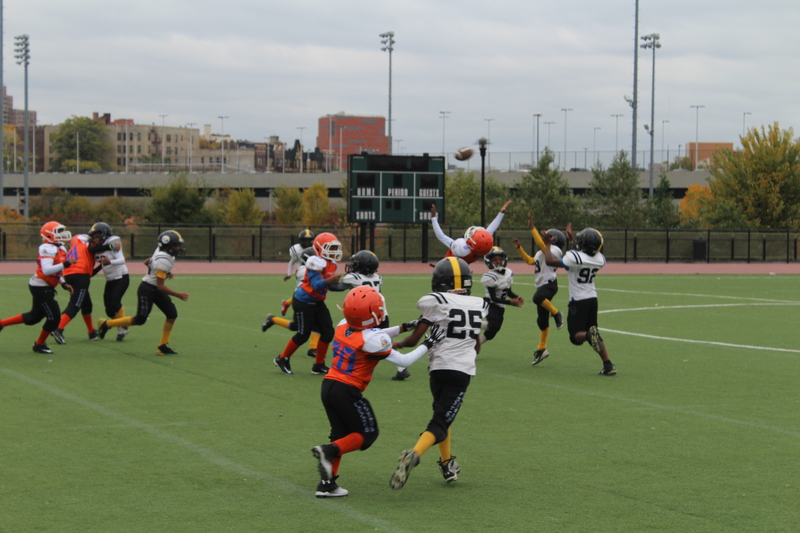 The season heats up in week 3 with our older divisions having some upsets in the standings. 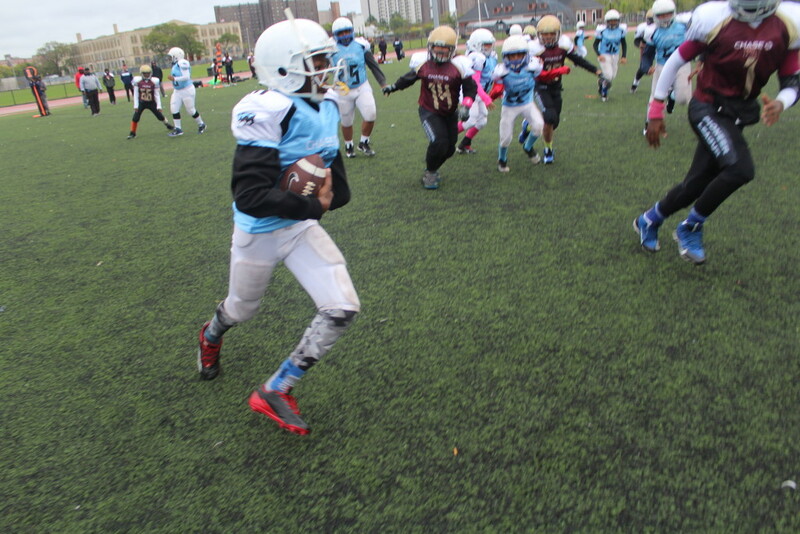 After shutting out opponents in their first three outings – the New York City Lions looked like they would continue to roll as they controlled the game vs the Harlem Jets 20-6. 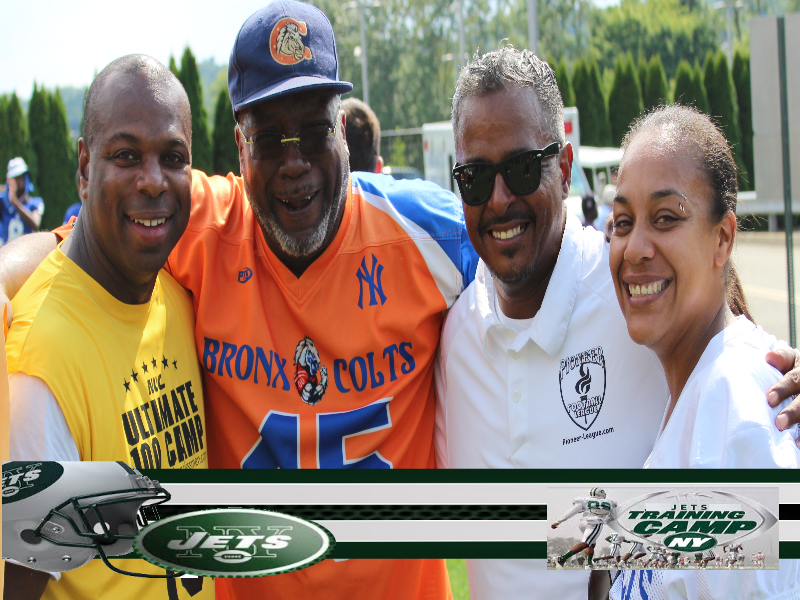 The Jets roared back and won in a thrilling finish. 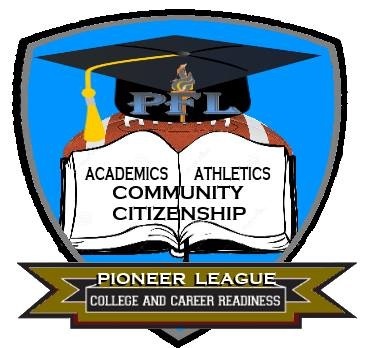 The Pioneer Football League week 2 edition checks out Buccaneers homecoming including an inspirational interview by David Hernandez. 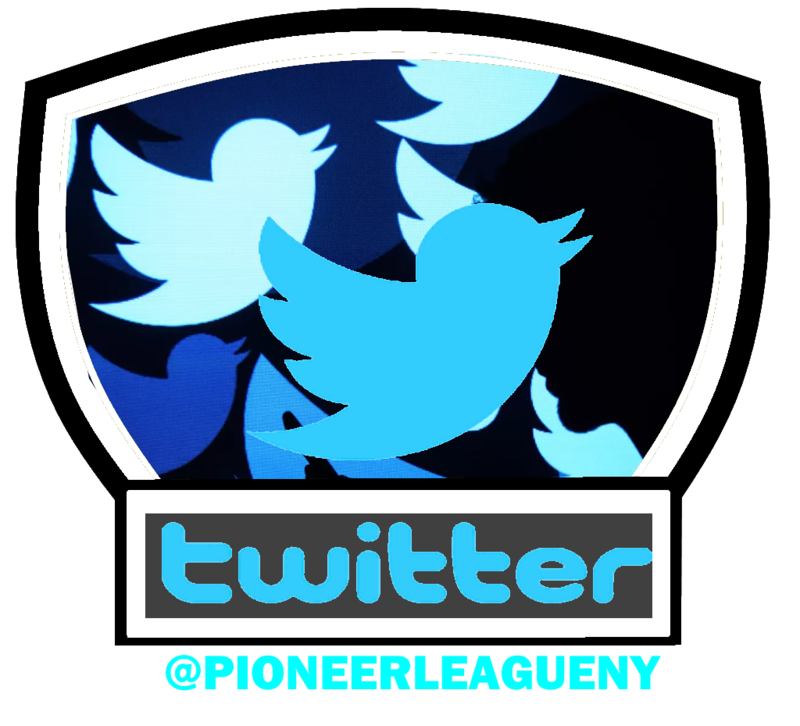 We also check out Crotona Park for a hot day of Pioneer League action. Opening Week for the balance of teams. Check out this weeks action. 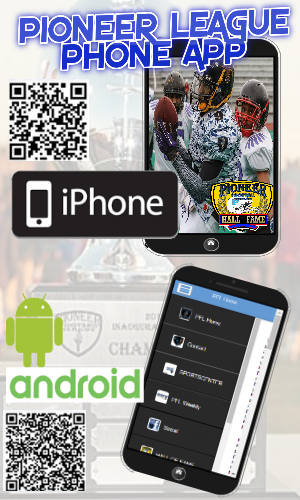 Please check out the schedule and standings for updated info. 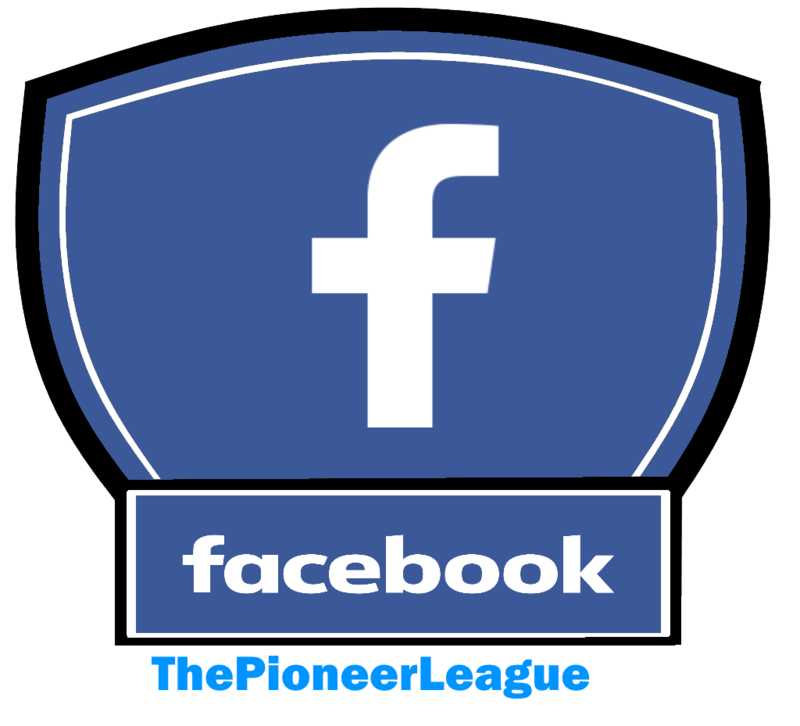 The PFL had two games on Ustream this week. Also check out Facebook for pictures from this week.